Photo by: Joan Marcus. 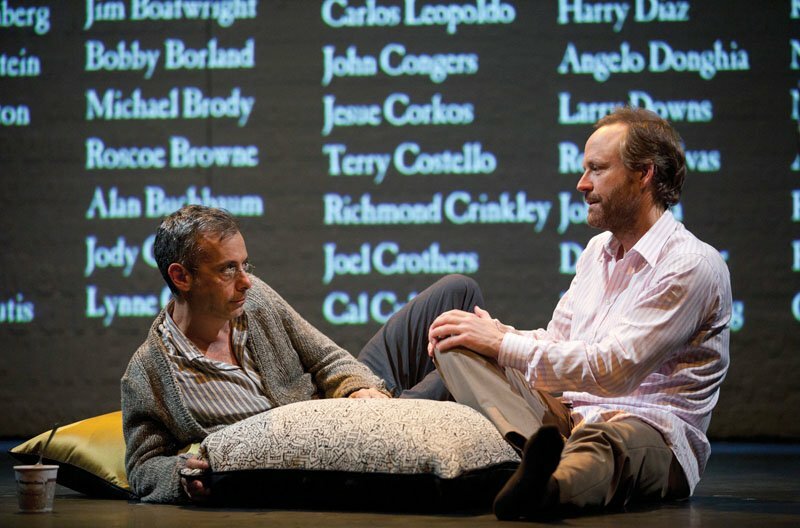 The Normal Heart cast members Ellen Barkin (Dr. Emma Brookner), Joe Mantello (Ned Weeks), and John Benjamin Hickey (Felix Turner). Photos of Kramer by Tracy Baim. Larry Kramer handing our flyers about AIDS after the May 15 matinee performance of The Normal Heart on Broadway. 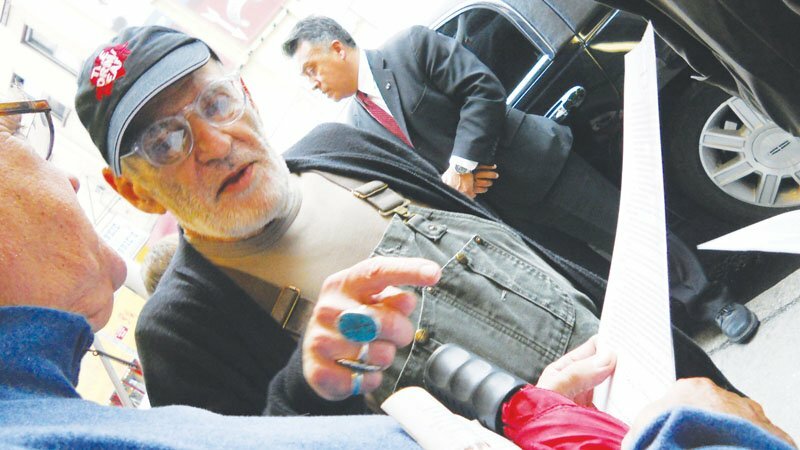 Larry Kramer handing our flyers about AIDS after the May 15 matinee performance of The Normal Heart on Broadway. Photos by Tracy Baim.